Boston, MA: Houghton Mifflin Co., 1981. Book. Good+. Cloth. First American Edition. 4to - over 9¾" - 12" tall. 301pp, Illustrated. 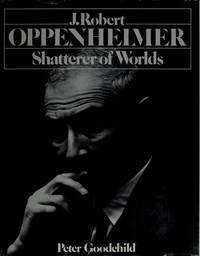 A biography of atomic scientist J .Robert Oppenheimer. Chipped dustjacket..
NY: Henry Holt, 1993. Book. Very Good+. Hardcover. 8vo - over 7¾" - 9¾" tall. 288pp. Very Good+. Upper Saddle River, NJ: Prentice Hall, 2000. Book. Good-. Large Softcover. 4to - over 9¾" - 12" tall. 572pp, Water staining on several rear pages, causing waviness to those pages. Some underlining and highlighting to about 20 pages. Notes on both sides of front endpaper. No tears..
NY: Random House/Vintage, 1984. Book. Very Good+. Soft cover. 398pp, illustrated. A comprehensive account of the integration of baseball with emphasis on Jackie Robinson, but including Hank Aaron, Satchel Paige, Roy Campanella, and Willie Mays. Very Good+. NY: Knopf, 1948. Book. Very Good-. Cloth. Second Printing. 8vo - over 7¾" - 9¾" tall. 706pp, Illustrated with black and white photos. A group biography of the James family: Henry, William, and Alice. No marks or tears except for a former owner's names and date on inside front cover. Chipped and darkened dustjacket..
San Diego: Harvest/HBJ, 1984. Book. Very Good+. Soft cover. First Harvest Edition. 343pp, illustrated. 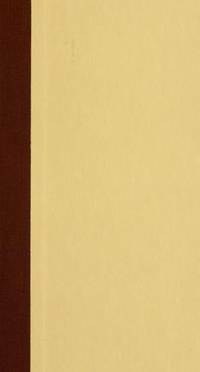 Biography of writer James Gould Cozzens. Price label damage to front and rear covers. Very Good+. Sweden, 1933. Book. Good. Soft cover. Tjugusjunde Argangen. Utgiven av Eric Festin. Heimbygdas Tidskrift. I. Fornvardaren II Jamten. Contents all in Swedish. 256pp plus 10 pages of advertising. Pictures of people, places, buildings, furniture, utensils. Unknown subject matter. Softcover with chipped covers. Good. UK: Jane's, 1996. Book. Very Good+. Hardcover. Ninth Edition. Folio - over 12" - 15" tall. 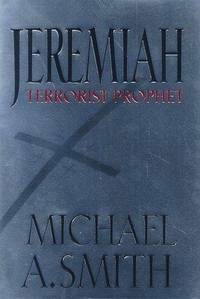 563pp, 1996, Ninth Edition, 1996-1997. Hardcover, no dustjacket. No marks or tears. A very nice copy..
NY: Warner Books, 1985. Book. Very Good+. Soft cover. 176pp. Very Good+. Nashville, TN: Convention Press, 1956. Book. Very Good. Printed Wrapper. 12mo - over 6¾" - 7¾" tall. 96pp, illustrated with b&w photos. A description of Baptist missions in Japan. Very Good. Boston, MA: Little, Brown and Co., 1970. Book. Very Good. Cloth. First Edition. 8vo - over 7¾" - 9¾" tall. 539pp, Illustrated with black & white photos of portraits. Former prices marked on front free endpaper. This is volume 4 only of a set written by this author on Thomas Jefferson. No tears. A nice copy.k. 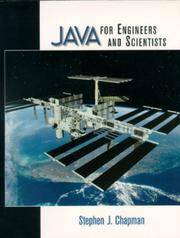 Cambridge, MA: Belknap/Harvard University Press, 1999. Book. Very Good+. Quarter-cloth. First Edition. 8vo - over 7¾" - 9¾" tall. 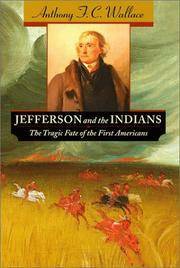 394pp, A close look at Thomas Jefferson's views on Indians. No marks or tears..
Bogota, Colombia: Banco De La Republica, 1959. Book. Very Good-. Paper Cover. 8vo - over 7¾" - 9¾" tall. 473pp. Covers the provinces of Cordoba, Cauca, Popayan, Pasto, and Tuquerres. Illustrated with several foldouts, plates, and tables. Text in Spanish. Spine slightly darkened, no marks in text, binding intact, a few spots on outside rear cover. Very Good-. Bogota, Colombia: Banco De La Republica, 1957. Book. Very Good-. Paper Cover. 8vo - over 7¾" - 9¾" tall. 339pp. Covers the provinces of Socorro and Velez. Illustrated with several foldouts, plates, and tables. Text in Spanish. Spine slightly darkened, spine paper wrinkled, no marks in text, binding intact, some shelf wear. Very Good-. Bogota, Colombia: Banco De La Republica, 1958. Book. Good+. Paper Cover. 8vo - over 7¾" - 9¾" tall. 308pp. Covers the provinces of Soto, Santander, Pamplona, Ocana, Antioquia, and Medellin. Cover slightly darkened, no marks in text, binding intact. Good+. NY: Forge/Doherty, 1998. Book. Very Good+. Hardcover. First Edition. 8vo - over 7¾" - 9¾" tall. 383pp. A fictional story of a modern terrorist. Very Good+. NY: Charles Scribner's Sons, 1977. Book. Very Good-. Cloth. 8vo - over 7¾" - 9¾" tall. 261pp, 1977. Tan cloth with lightly chipped dustjacket. About 5 pages with underlining. No tears..
Garden City, NY: Doubleday, 1973. Book. Illus. by Gregory and Deborah Harris. Good. Hardcover. Pages not numbered (~100). Text by Berrigan, a protester of the Vietnam War. Bottom edge heavily spotted and stained, dustjacket lightly chipped, front hinge lightly cracked..
Jerusalem: Naber Press, 1974. Book. Very Good. Paper Cover. Inscription with First Name of Author. First Edition. 8vo - over 7¾" - 9¾" tall. 274pp, Text in French. Inscribed in French and signed "Claude" on the title page. Former owner's embossed stamp also on the title page. No other marks, no tears..
Grand Rapids, MI: Discovery House, 1995. Book. Near Fine. Hardcover. 425pp. 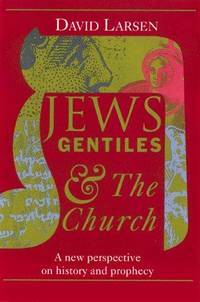 "The Jews are God's timepiece. They are the key to history and prophecy". Former owner's name on ffep. Near Fine.